Hoops style for the littlest feet. 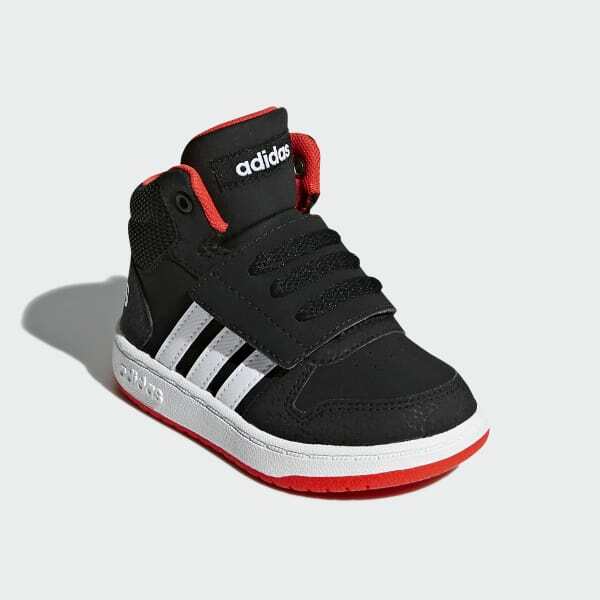 These infants' basketball-inspired shoes have a synthetic upper and a breathable mesh collar to provide comfort to little feet. A wide hook-and-loop closure makes it easy to get the shoes on and off.